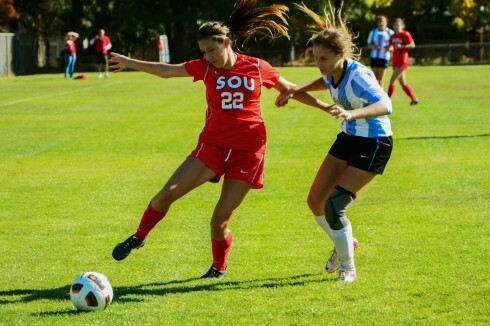 The Southern Oregon University women’s soccer team shut out Warner Pacific 4-0 Saturday morning at home, bringing them to 4-1-1 record in the Cascade Collegiate Conference and 8-3-3 overall. The Raiders wasted no time, scoring in the third minute with a strategic breakaway from junior forward Chloe Welch, assisting junior striker Julie Zamzow to get on the board. Two minutes later freshman midfielder Presley Lambert added another goal scoring from 15 yards out after an assist by senior forward Sydney Paulsen. Nearing the end of the first half, the clock was stopped when Rayssa Lira of Warner Pacific went down, and was taken off the field with an ankle injury. Raider fans dominated the bleachers, soaking up the fall sunshine and cheering enthusiastically as the scoreboard read 2-0 at the half. “I enjoy coming because I know a lot of the girls personally. 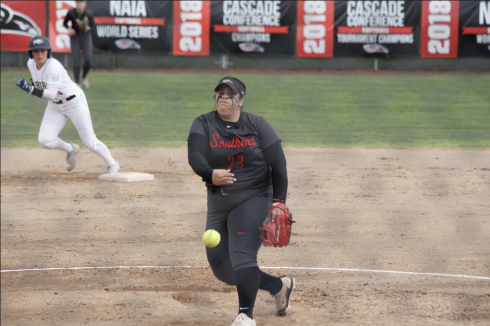 I love the aggression and how competitive they are,” says Southern Oregon University student and volleyball player Brookelynn Cole. That competitive drive continued on in the second half for the Raiders. After an attempted shot bounced off the goal, freshman midfielder Lisa Elledge kicked the ricocheted ball in for a 3-0 lead with 17 minutes left. Two minutes later sophomore forward Megan McArthur scored following a corner kick given by junior midfielder Serena DeChristofaro. Freshman goalie Kylie Moltzen had five saves in the match earning her seventh clean sheet this season. The Raider’s received a standing ovation with a final score of 4-0. The future is looking bright and the team has high aspirations. “This was one of the best possession games we have played so far. We are coming together with communication, and our intensity in the box and organization is better,” says Paulsen. 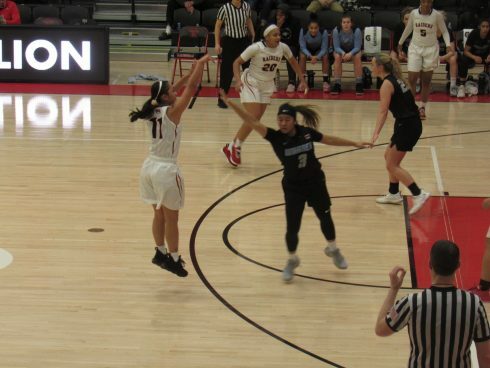 “We need to win conference and get in the national tournament,” she adds. They are definitely on their way. The Raider’s continue their quest against Oregon Tech at home on Saturday, Oct. 26 at 10 a.m.